A Chinese farmer in Guizhou province recently committed suicide because he couldn’t afford to pay the fine of 22,500 yuan ($3,612.5) for having more than one child. The incident has once again exposed the dark side of law enforcement in family planning cases. Wang Guangrong, 37, had four children, but the younger three couldn’t attend school because the children of parents violating the family planning policy cannot be admitted to school or get medical welfare or have household registration (hukou). People are bound to abide by the family planning policy, but that doesn’t mean the children of parents who violate it should be denied the right to education and Chinese citizenship. The Third Plenum of the 18th Communist Party of China Central Committee eased some of the strict family planning norms. For example, a couple can have a second child if either of them is the only child of his/her parents. Though this is a welcome move, the ultimate goal of the reform should be to allow couples to decide how many children they want to have. TV stars Sun Li and Deng Chao had their second child recently, but in Hong Kong, not on the Chinese mainland. Since the couple obtained Hong Kong residency through the Special Administrative Region’s scheme for mainland talents and professionals last year, their daughter will be a Hong Kong resident and they will avoid paying a fine for having a second child. This shows how the rich and famous avoid paying fines for violating family planning norms. Perhaps now is the time for the authorities to consider allowing all Chinese couples to have two children. People like Wang, who have four children, are rare in China, and they cannot reverse the low birth rate trend in the country. The strict family planning policy has led to a significant drop in the percentage of working-age people and a serious gender imbalance because of the Chinese people’s preference for sons. The beautiful vision of “having only one child while the government takes care of the elders” is in sharp contrast to the miserable situation that families find themselves in if they lose their only child. The low birth rate has already created social problems such as labor shortage and delayed retirement. A long-term family planning policy aimed at reducing the number of births could be harmful to society and the economy. China’s population grew rapidly during the country’s first demographic transition period, which might have posed a challenge to the planned economy but paid huge demographic dividends once the country announced the reforms and opening-up. But those demographic dividends have almost become history now. 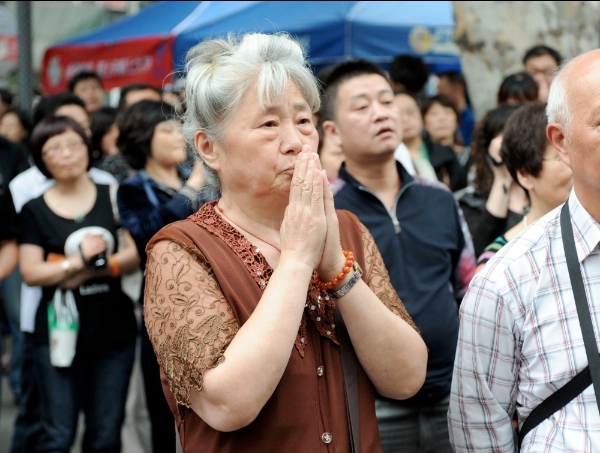 China already has more than 1 million families that have lost their only child. So, if the authorities allow all couples to have a second child, they could save many families from falling apart after losing their only child. Also, couples whose first child is born with disabilities or is trafficked by criminals can fall back on their second child. By allowing couples to have a second child, the authorities could also reduce the demographic risks such as shrinking working-age population and the increasing gender imbalance. History tells us that a society of two-children families is more suited to balanced demographic development. 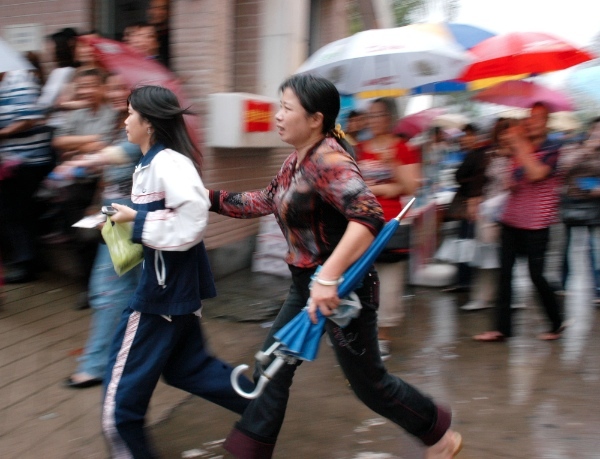 Since 2000 China’s average fertility rate has been around 1.4, which is rather low. China faces a great challenge due to its growing aging population and proportionately declining youth population. Moreover, gender imbalance, too, is a serious problem — for example, tens of millions men cannot find a wife. Therefore, by easing the family planning policy, the authorities will not only help many families cope with the loss of a child, but also reduce the demographic risks. Allowing families to have a second child could also help China achieve balanced demographic development. The country seems to have fallen into the trap of low fertility rate. Many young couples, despite being the only children of their parents, are unwilling to have a second child because they have to take care of their aged parents. Some don’t want to have a second child either because they are too focused on their careers or cannot afford to pay for its education and other needs. Since the 1990s the cost of bringing up a child in China has increased steadily, forcing a lot of couples to decide against having a second child. So easing the family planning policy will not lead to a population boom, which the authorities fear, because demographic development always moves in waves. Even in rural areas where traditionally people tend to have more children, the fertility rate is only 1.6. China’s childbearing-age population as a proportion of the total is on the decline, and if the existing family planning policy continues, China will be hard to achieve sustainable demographic development. This article first appeared in China Daily. Mu Guangzong is a member of the faculty at Population Research Institute, Peking University. Hi research interests include Institutional Demography, Social Gerontology, Population and Sustainable Development.